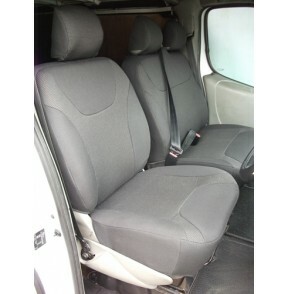 A completely fully fitted / custom made van seat covers made from original seating cloth fabric. AN ISO 9001:2001 compliant product which has been designed / manufactured here inhouse in our factory premises (feel free to visit us here in Stockport). With our vast experience in the automotive industry, we feel that there is a huge demand for fully fitted made to maesure van seat covers. Front Row: Driver’s single (one base section and one top section) and passenger double seat cover (this is again one base and top section). Please note that the fabric covers the back of the seat as well. Please advice us if you need two singles seat covers for the front row and we will accordingly make them for you. - Please tell us if you have any driver’s arm rest. Third Row: A triple seat covers which will cover full back. Head Rest: 9 matching tailor made head rest covers. All the holes have already been put in the seat covers to allow the chrome bars on the head rest to go through. Please phone our office for any technical queries regarding this Renault Traffic 9 seater mini bus seat cover. These Renault Traffic Van seat covers are made with original OEM cloth fabric and the advantage is that it takes more wear and tear. Laminated with lining & confirms to BS standards. This item is a dark grey fleck. We can offer 6 different colours if you wish. Please allow us 28 days to make this item to your order. 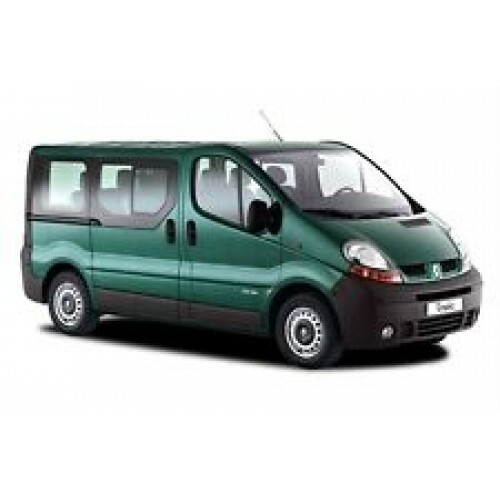 These Renault Traffic minibus seat covers are made with flawless production specifications and are ISO 9001:2001 compliant. 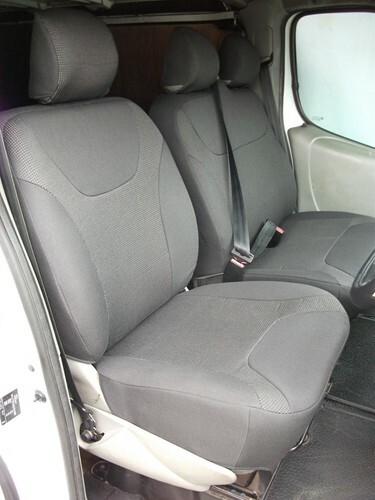 With our vast experience of manufacturing commercial van seat covers we know that the seat covers are not just to protect your seats, but also, to enrich the comfort for the drivers and enhance the appearance of your vehicle interiors. With high grade specifications these Renault Traffic minibus seat covers enhance the looks, increase the life span of the original seats, remarkably improve the resale value of your van and enrich the comfort factor and thereby add to your driving experience. Once fitted, you will have the peace of mind that your seats will remain in a pristine condition.